We specialize in outpatient oral surgery with referrals from dentists and physicians in our area. Whether you need dental implants, wisdom teeth removal, bone grafting, a biopsy or another type of oral surgical procedure, our staff will guide you through with friendly and supportive care while striving to make your individual experience as pleasant as possible. Dr. James Williams received his training in dentistry at the University of Toronto in Canada and completed his residency in Oral and Maxillofacial Surgery at Henry Ford Hospital in Detroit, Michigan. He is a Diplomate of the American Board of Oral and Maxillofacial Surgery and a Fellow of the American Association of Oral and Maxillofacial Surgery. He has enjoyed practicing in the Clarkston area and serving many members of the surrounding communities for over 27 years. Our front office personnel are friendly, knowledgeable, and very professional. When you call our office you will be assigned to a specific staff member who will act as your personal liaison to guide you through paperwork, medical history, special needs, appointment scheduling, insurance issues, payment questions and general pre-surgery preparation. We find that our patients benefit most when they can count on the same staff member being available to learn and support their individual needs. Our surgical team of nurses and assistants focus on your individual care within the surgery and post-operative areas. They not only work to support Dr. Williams during surgery but you, the patient. These staff members are caring, supportive, skilled, knowledgeable and professional. 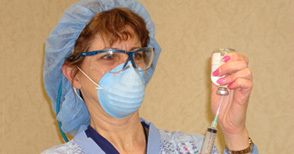 From the basics of understanding and using proper sterilization techniques and quality infection control procedures to assisting during a surgical procedure or being prepared for a cardiac or respiratory emergency, this surgical team strives for quality care on all levels. 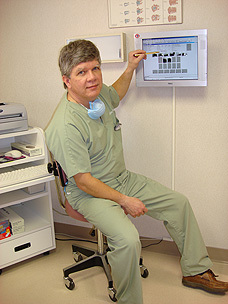 Together our staff has over 45 years of combined experience working in oral surgery with Dr. Williams. 1. Medical history – past and present. Have you ever had (i.e. diabetes, hypoglycemia, high blood pressure, scarlet or rheumatic fever, artificial heart valves, joints replaced, heart disease, a heart murmur, leaky valves, a stent, cancer (radiation or chemotherapy), or any other major illness or surgery? 2. Current medications - pills, creams, ointments, drops, inhalants, sprays or injectables. Are you on any anticoagulants (blood thinners – i.e., Coumadin, Plavix, heparin, aspirin)? Do you require any antibiotic premedication before surgical procedures? 3. Allergies - Drugs, latex gloves, iodine, etc. 4. 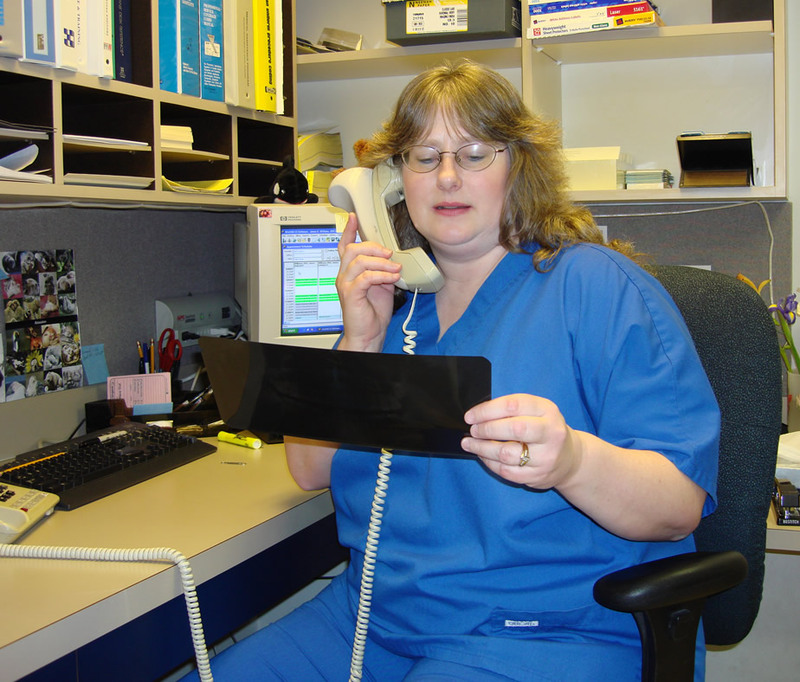 Written referral from your doctor – It is important for you to read the complete referral to us. This information is necessary for consulting, scheduling appointments and setting up for your specific case. 5. Radiographs (films) taken for this case – We need film(s) that show the area of concern and the structures, nerves, and possible recent growth affecting the area. We make every attempt to use the film(s) your doctor has taken (if they have sent it to us) or you are bringing with you. If additional films are necessary, we can take them at the time of your consult. 6. Insurance – We call your insurance company before your appointment to check your eligibility, co-pay, overall coverage, possible deductible, and maximums. This is no guarantee of payment but it does give us an idea of what you will be required to pay on the day of your appointment. Co-pays are due on the day of service. Do you have two insurances? Do they provide dual coverage or do they pay sequentially (non-duplicating)? Is your insurance medical or dental or both? Having this information close at hand will save you time when you make this appointment. If it is necessary to cancel your appointment please give 24 – 48 hours notice. Paperwork: If time is available (3-5 days) before your scheduled appointment we will mail you a “new patient” packet so you can review and fill out the necessary forms conveniently at home. 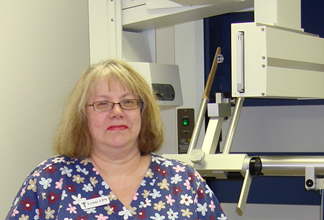 You then bring the completed forms in with your doctor’s referral and any radiographs necessary for your appointment. Your appointment will consist of a consultation explaining your diagnosis and treatment options. 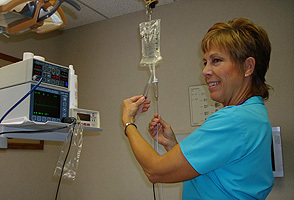 For some patients, it is possible to have the surgery scheduled on the same day. The consultation is scheduled prior to surgery so you can have your questions answered and make an informed consent about what it is you choose to do. However, for a complex medical history or treatment plan, a second appointment will be needed to provide treatment on another day. 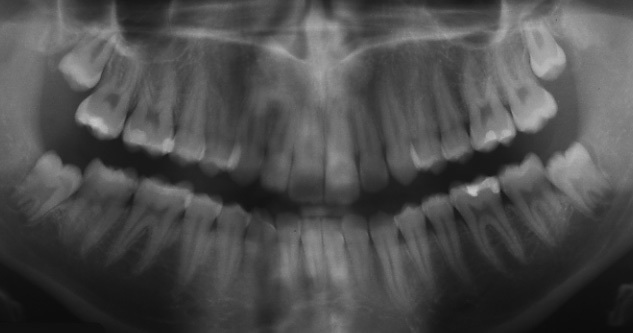 Radiographs needed for the evaluation and/or surgery. You can request that they be forwarded from your dentist if there is time for them to be mailed (more than 5 business days). If time is an issue (less than 5 business days) please pick them up and bring them in with you. Medical / dental insurance and employer information necessary to complete forms and process claims. For FULL-TIME students who are over 18 years old and are still covered by their parents’ insurance, please bring your student ID with you to this appointment. All patients under the age of 18 years must be accompanied by a custodial parent or legal guardian for the consultation and/or surgical appointment. Our staff is specially trained to assist you with insurance questions and payment options. We work with a variety of medical and dental plans and will submit your claim as a courtesy to you. Cash, checks and most major credit cards are welcome, or we can help arrange financing for your oral health investment with Carecredit (a healthcare line of credit) who offers interest free or low interest extended payment plans depending on your preference. If Carecredit is your payment option of choice, you can call our office to apply or apply online and receive approval in minutes.